An expert Technical Committee led by health economist, Dr Chris Atim, is currently reviewing Ghana’s National Health Insurance Scheme (NHIS) with the aim of making proposals to the Government of Ghana for its fundamental reform. The internationally acclaimed scheme currently has 11.2 million users, covering 41 per cent of the population, thus making it a critical social intervention in removing cost as a barrier to health care access in the quest for universal coverage. The design and implementation of the scheme since its inception have however raised serious questions about its sustainability. The following article examines the key issues under consideration by the Technical Committee in the reform agenda, and explores the public reaction after three stakeholder meetings in Tamale, Kumasi and Accra through the lenses of Mr Peter Yeboah, a member of the Technical Committee and Executive Director of the Christian Health Association of Ghana (CHAG). From 2005 to 2012, active membership ballooned from 1.3 million to 8.9 million, an almost 600 per cent increase. Out-patient utilisation also increased from 598,000 to 29 million as of 2014 while inpatient utilisation increased from 29, 000 in 2005 to 1.6 million in 2014. This phenomenal growth in utilisation had implications for the cost of reimbursed claims with claims payment correspondingly increasing from GH¢7.6 million in 2005 to GH¢? 968 million in 2014. Over time, expenditures have gradually outstripped income, thus raising questions about the scheme’s financial sustainability. By 2014, the National Health Insurance levy accounted for almost 74 per cent of the NHIS’s funding while SSNIT contributions and premium payments contributed 20.4 per cent and 3.4 per cent respectively. Interest on the fund accounted for 1.6 per cent. Justifying the case for reform, the Technical Committee cites the following reasons; “Need to take stock of the scheme’s design and operations after over 10 years of existence, reported delays in reimbursement of claims to service providers, gradual erosion of confidence in the scheme as a result of unsatisfactory experiences with providers and at NHIA offices, perceptions of imminent collapse of the scheme, at least partly fed by media and politics, and simmering tensions and distrust between key stakeholders, especially between providers and the NHIA, among others. After three public fora organised by the Technical Committee as part of a listening exercise, I caught up with Committee Member, Mr Peter Yeboah. 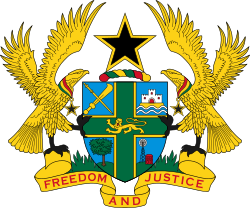 “Are we as a country prepared to make choices, by for example, reducing the benefit package which has been described by numerous members as ‘too generous and unaffordable’ even as others clamour for the inclusion of more services?”, asked Mr Peter Yeboah. Some of these choices may hinge on amending the exemption regime that has also been described as too broad. The Technical Committee has broadly categorised its recommendations into two parts; long term reforms and short term quick wins. Among the quick wins are proposals for all outstanding claims to be reimbursed. This may include evolving a system for monthly payments to facilities in order to reduce their financial burden. Additional steps could be taken to improve relations between the scheme and providers. For fundamental reforms, the Technical Committee has mapped out four critical areas within its review framework; Sustainability, Equity, Efficiency and Accountability/User Satisfaction. Recommendations targeting sustainability will seek to address the funding mechanisms while aligning the scheme to broader health sector goals. Equity will aim at increasing coverage for poor and vulnerable groups while efficiency will be viewed through the lenses of health services purchasing the scheme’s operations and improved knowledge and information systems for decision making. Public confidence in the scheme and a framework for its periodic review would be addressed as part of accountability/user satisfaction. Other members of the Committee are Dr Victor Bampoe, Dr Obeng Apori, Prof Irene Agyepong, Huihui Wang and Nathaniel Otoo. The Committee aims to submit its proposals to government by June 2016.